If you are looking to book a taxi to airport Melbourne, or you want someone to pick you up from your Woodend location, look no further than Melbourne Silver Luxury Taxis. Whether it’s a business trip or a well-deserved family vacation, we can provide the efficient airport transfers in Woodend at the best price possible. Whatever your traveling needs are, let us know and we can get a cab based on your needs. All of our drivers are friendly, courteous, helpful and dedicated to delivering a safe and comfortable journey to our customers. We hold years of experience in the industry and are acquainted with all short cuts between Woodend and the Melbourne airport. So, you can rest assured that you will reach the airport or your destination on time with our local taxi service. We provide a big fleet of Silver Service Cabs, ranging from compact sedans to luxurious SUVs to fit any budget. Our fleet of vehicles includes Genesis, Jaguar, Audi, Caprice, Lexus, Mercedes, Skoda and Volkswagen to choose from. All of our vehicles are maintained to the highest safety standards to ensure the safety of our travelers. If you are not sure which vehicle would accommodate your traveling group, give us a call for a recommendation. 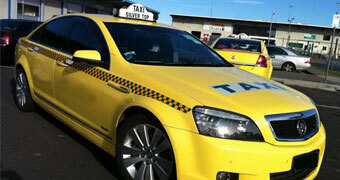 To book our Silver Service taxis, simply call 0410 934 335 and let us know where you are heading to and from. We will evaluate your traveling needs and provide you with a cheap quote that you will be pleased with.